Armistice Day honors the veterans that fought in both World Wars and is a day to commemorate the end of World War 1. This holiday occurs November 11th each year. Most people go to church and remember those who have died in World War 1. The day is spent in memory and there are many memorials. Most buildings are closed other than railway stations and airports. 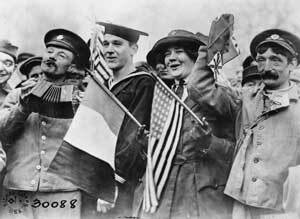 Armistice Day began the morning of November 11th, when World War 1 was ended. Once the armistice was signed between Germany and the allies World War 1 was ended. Provides calendars for the calendar year for France. Provides the dates for holidays for the calendar year for France.